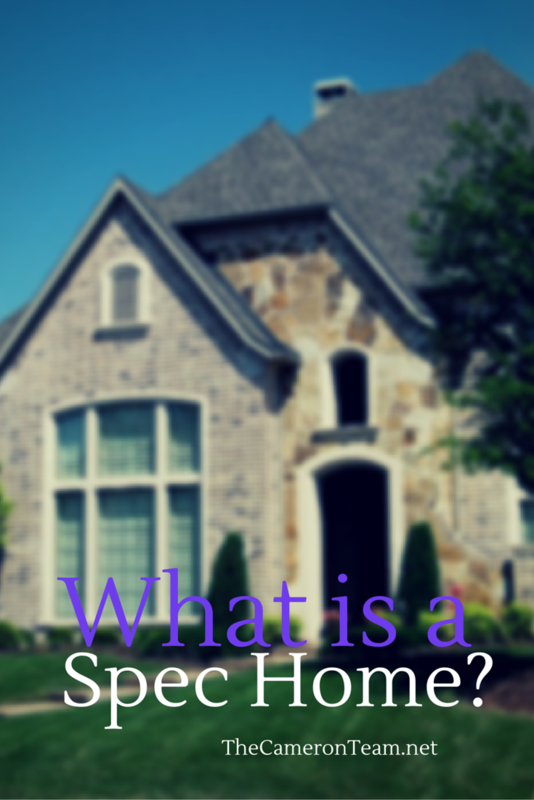 If you’re searching for homes for sale in a new community, you may have come across the term “spec home” and wondered exactly what it meant. “Spec” is short for speculative. This is a type of new construction home where the developer has started building a house without a buyer. They’ve chosen the plan and lot, and likely have it listed in the MLS as “Under Construction”. Spec homes are not custom homes, nor are they the best choice for buyers who want to choose every detail of their home. However, they are the right option for someone who doesn’t want to wait for new construction, which usually takes 4-6 months (longer for luxury homes). Spec homes also provide the opportunity to make some choices about the home’s details – such as paint colors, tile, countertops, etc. How many options buyers are given depends on the builder and the stage of construction. Some other terms you may run into are “tract homes” where every home in the community has the same basic floor plan, such as some low-cost patio home communities; “model homes”, which are the example homes built for buyers to walk through before choosing a floor plan and options; and “pre-build homes”, which is often used to refer to home and land packages in new communities. View New Construction Homes for Sale in Greater Wilmington (Note: You may want to alter the search parameters to a specific area or price range). If you have any questions about buying new construction in New Hanover County, Pender County, or Brunswick County, give us a call or send us a message through our Contact page. We’ve represented buyers in many of the new construction communities and are well educated on the process. Using an on-site agent to handle both sides of the sale is not in your best interests. Don’t get us wrong, on-site agents are integral to the process, but just like any other home listing, they represent the seller, which is the builder/developer. As the buyer, you still need someone to make sure your interests are protected and we would love to help you with that. So, don’t hesitate to contact us!